Position pad inside shoe with foam surface down. Place pad in place with pointed end facing the heel. Washable, cut to size if required. Latex foam backed leather insole for exquisite comfort. . Perforated for breathability. Perforated to allow feet to breathe normally. Resists odour. Position pad inside shoe with latex surface down. Press pad in place. 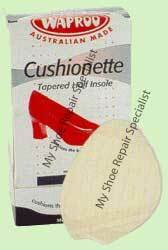 A premium self adhesive synthetic sole for ladies and mens footwear to help prevent slipping and to extend the life of the sole. Help prevent slipping and to extend the life of the sole. 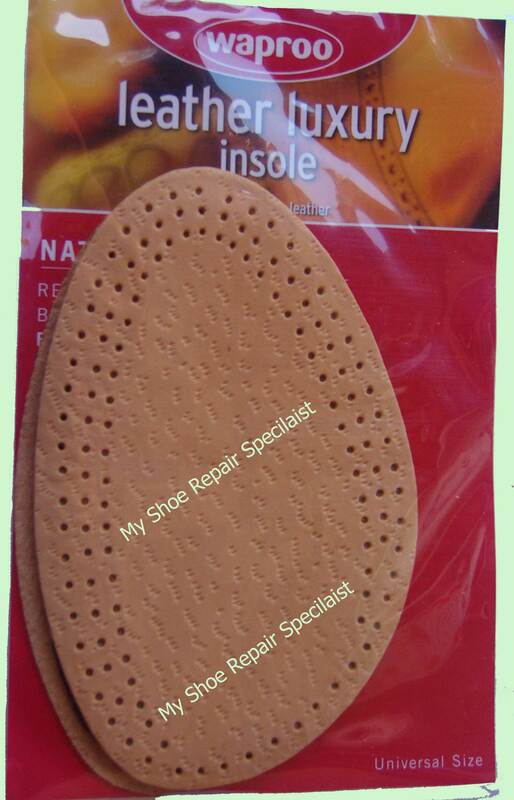 Ensure sole is free of dirt, grease and other foreign matter. Sole must be conpletely dry before application. Remove backing paper and apply sure grip. 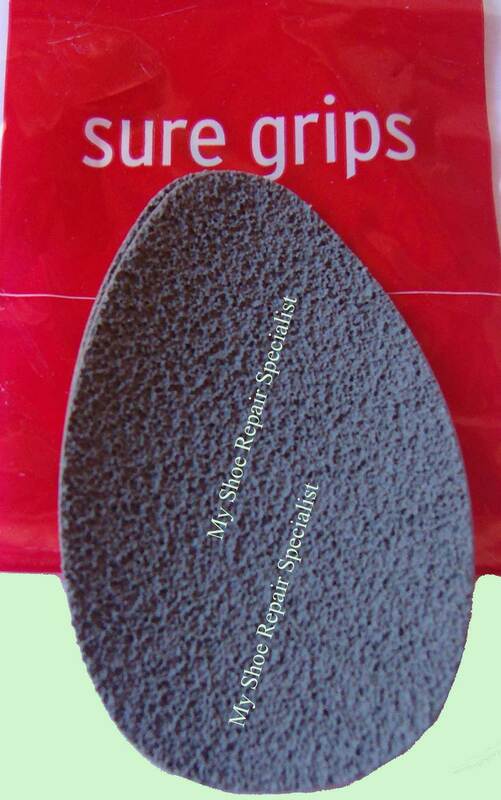 Wear shoes in dry area for approximately 10 minutes after application to ensure complete adhesion. We recommend the Half Insoles for comfort and Slip Stop to prevent slipping.